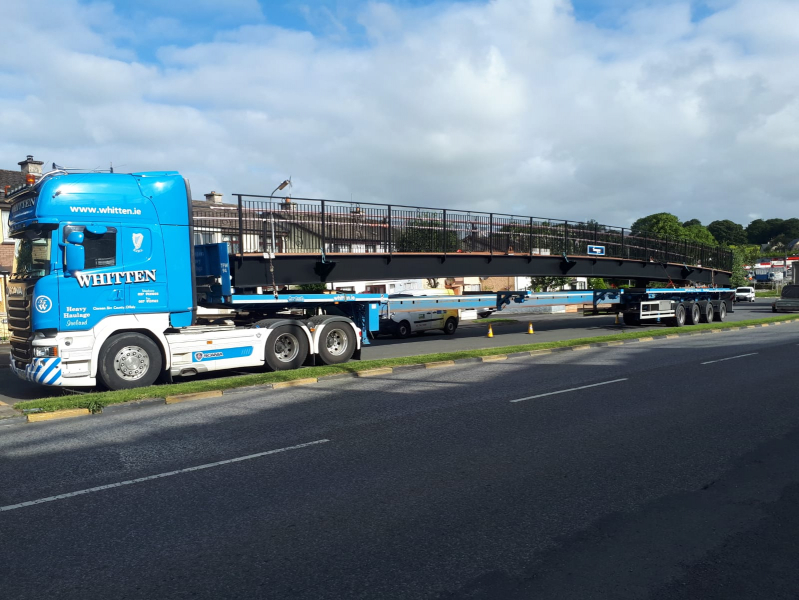 Rhys is on-site this morning in a sunny Kilmallock, Co. Limerick, delivering this magnificent new Pedestrian and Cycle Bridge which will span the River Loobagh. 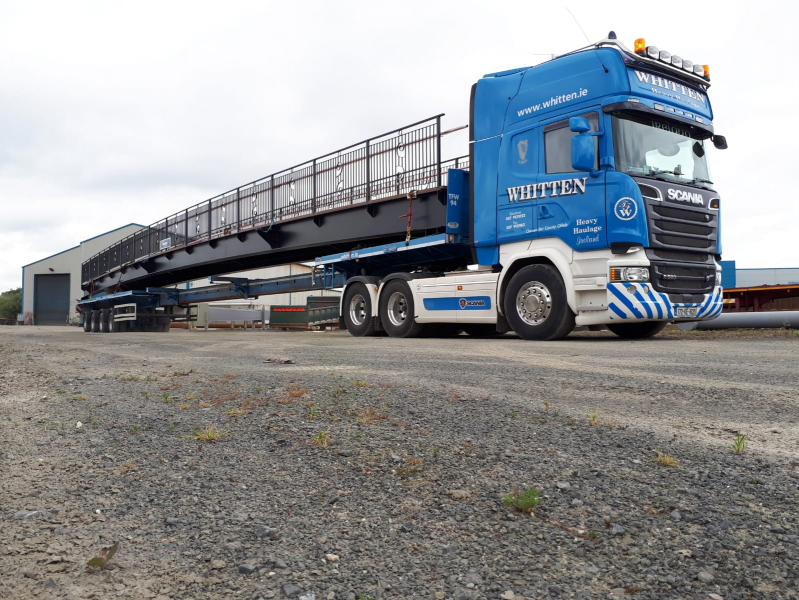 Using one of our many custom built, state-of-the-art trailers, Rhys arrived at 31m overall length in the early hours of this morning, delivering yet another load on-time, safely, and without issue. 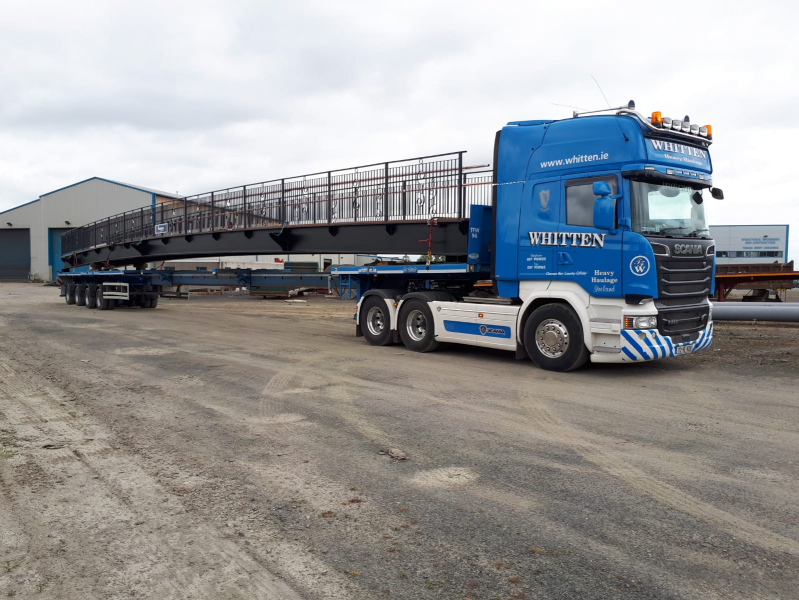 Contact us via phone or email to discuss your abnormal load needs.